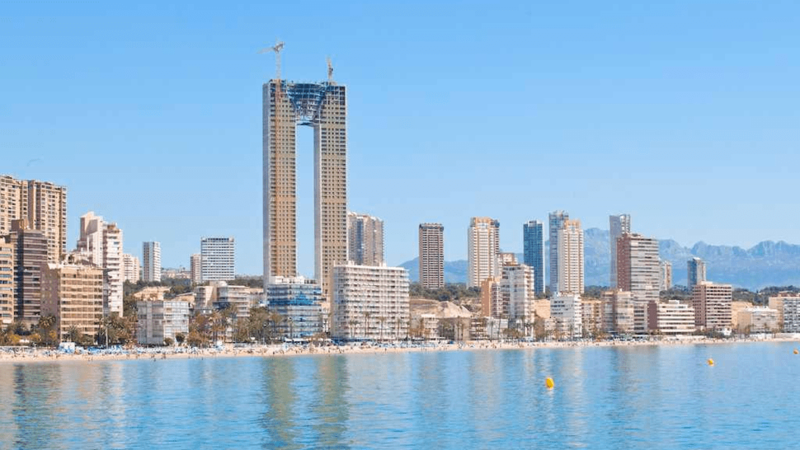 It was designed as a beacon of prosperity – the Intempo Skyscraper in Benidorm. A proud building to show that the popular beach town was not affected by the crunch. In a rush of greed and over-excitedness, the design was changed from an original 20 storey building, to a 47 storey one. Too bad they didn’t redesign the elevator shafts and room for technical equipment, as the space needed for elevators serving 47 floors is now simply not available. The building however, as the images shows, is near completion. This entry was posted in General living and fun stuff, Unusual homes and tagged apartments, architect, Architecture, Benidorm, design, elevator, forgot, Intempo, resigned, skyscraper, uilding. Bookmark the permalink. Well, on the upside: the future residents will be the most healthy building residents on this planet. Running up and down the stairs each and every day. Well, on the upside: the future residents of this building will become the most healthy residents of this planet. Running up and down the stairs each and every day. It’s a hoax. The building has ten elevators, four of them only for the penthouses. It takes less than a minute to get to the top.